MINSK, 27 December (BelTA) – Metropolitan Pavel of Minsk and Slutsk will arrive in Minsk before Christmas celebrated by Orthodox Christians on 7 January, the ONT TV channel reported citing the Department for External Church relations of the Moscow Patriarchate. 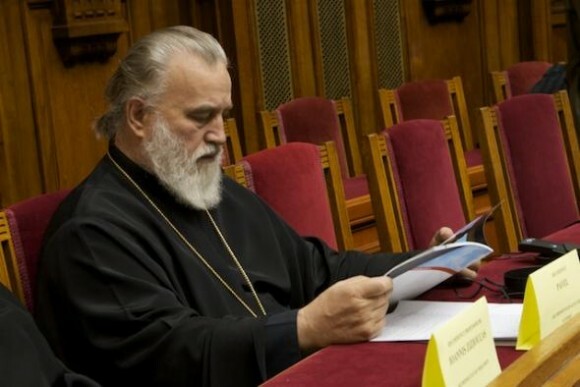 The decision to appoint Metropolitan Pavel of Ryazan and Mikhailov as Metropolitan of Minsk and Slutsk was taken by the Holy Synod after accepting a letter of resignation submitted earlier by Metropolitan Filaret. Metropolitan Pavel is expected to leave Ryazan next week, prior to Christmas. On 29 December he is due to conduct the Divine Liturgy. Metropolitan Pavel of Ryazan and Mikhailov was born in Karaganda on 19 February 1952. In 1973-1976, he attended the Moscow School of Theology. In 1980 he graduated from the Moscow Theological Academy with a degree in theology. On 19 February 1992 by the decision of the Holy Synod he was appointed Bishop of Zaraisk and was put in charge of the patriarchal parishes in the United States and in Canada. In 1999, he was appointed Bishop of Vienna and Austria. In 2001 he became Archbishop with the title of Vienna and Budapest. On 5-6 October 2011 following the decision of the Holy Synod, he was given the title of Ryazan and Mikhailov, and was appointed head of the newly created metropolia of Ryazan. On 8 October 2011 he was elevated to the rank of Metropolitan.